I'm reminded of our trip to Jaipur whenever my mom makes this dish. We ate at this local dhaba popular with tourists (and recommended by lonelyplanet) called Ganesh Restaurant. The best dishes were paneer bhurji (pictured below) and garlic & coriander naan. We loved eating this dish with freshly made naan 😀. As heavenly as this dish was, it's not the healthiest, considering all the butter that went into making it and floating on top. BUTTER MAKES EVERYTHING BETTER, RIGHT? It does but you shouldn't eat it everyday. And it's not like we can just swing by this dhaba on our way home. So we decided to make this dish at home. Our local Indian grocer, started stocking spice mixes for various dishes. 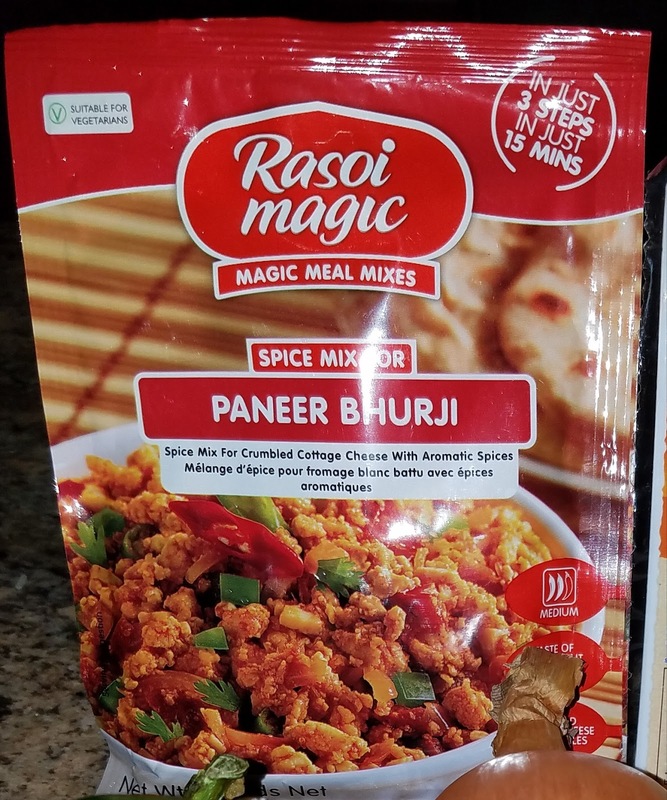 While browsing through the aisle, we found the spice mix for paneer bhurji by Rasoi Magic. My mouth started watering just thinking about it. Since we're cautious of what eat now, we decided to buy firm tofu instead of paneer (Indian cottage cheese). Mix the entire pack of spice mix with the milk to make a paste and put aside. Heat the oil in a pan on low to medium flame. Then add green chili, onion and fry for 3 to 4 minutes. Next add green bell pepper (also known as capsicum), tomato, and cook for another 3 to 4 minutes. Then add the spice mix paste, and fry till the oil separates. Add two tablespoons of water and cook for one minute. Then add the tofu and mix well. Finally add coriander and cook for 1 to 2 minutes. Serve hot with roti or naan. The tofu bhurji tastes just as yummy as paneer bhurji with less calories. Rasoi Magic Paneer Bhurji Spice Mix Review: This dish came out really well and it was quite tasty even with the tofu substitute. 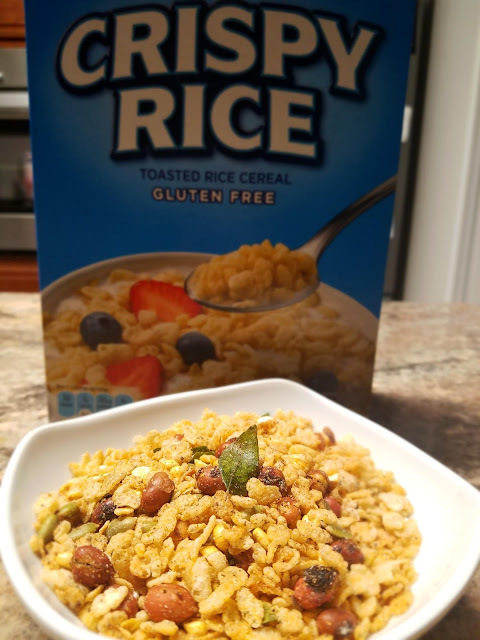 We found this spice mix very convenient and easy to use and would definitely recommend everyone to give it a try. Deep Foods Frozen Chili Coriander Naan: We wrapped the naan in foil and toasted them in the toaster oven. They tasted like they were fresh out of the "clay oven". 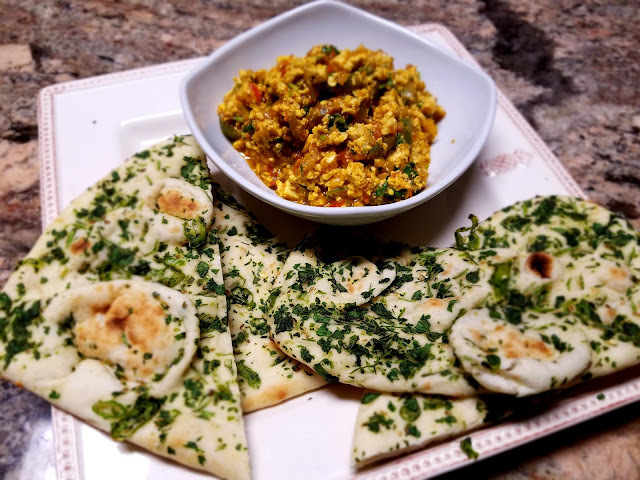 The naan were fluffy and flavorful. We would definitely recommend all to try. 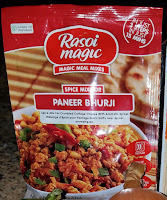 I am looking forward to trying more recipes with Rasoi Magic's spice mix now. Have you used this spice mix before? How do you like it? Please share your thoughts.